Passware introduces a Linux version of its Passware Kit Agent for the distributed password recovery. 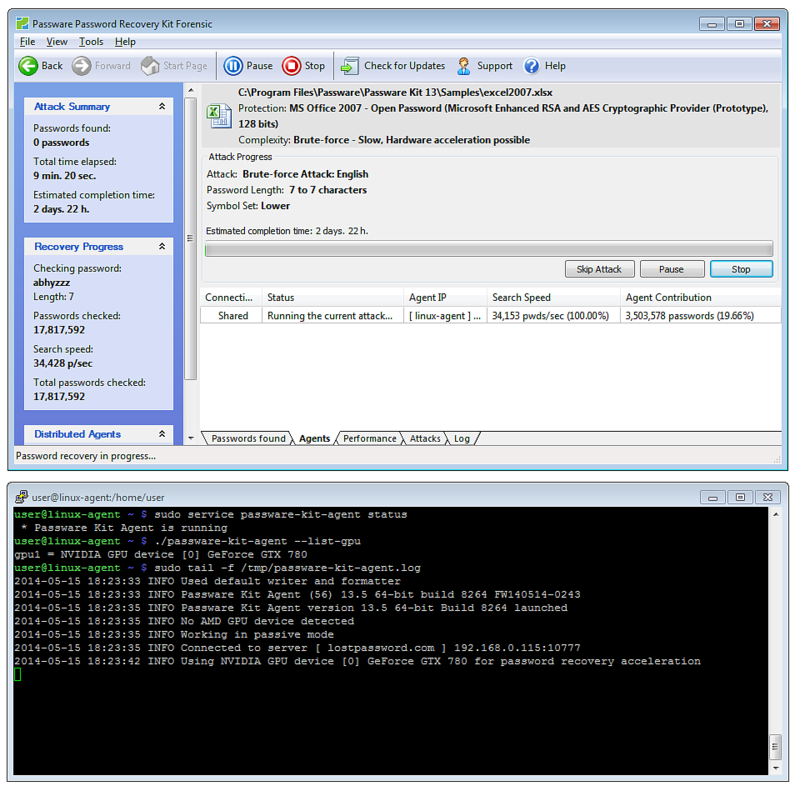 Passware Kit Agent for Linux supports both 32- and 64-bit systems and GPU acceleration. 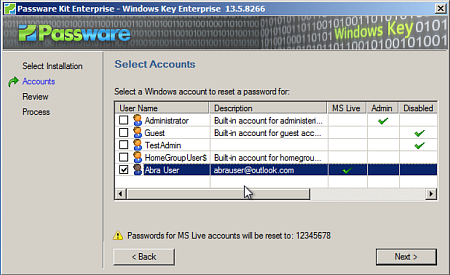 Passware Kit 13.5 can connect Windows and Linux versions of Passware Kit Agents simultaneously, which means that you can use all the hardware in your network environment effectively for password-recovery processes. NOTE: This feature is available in the Enterprise and Forensic editions only. Passware Kit Forensic connects up to 5 Passware Kit Agents, and additional Agents can be ordered separately. 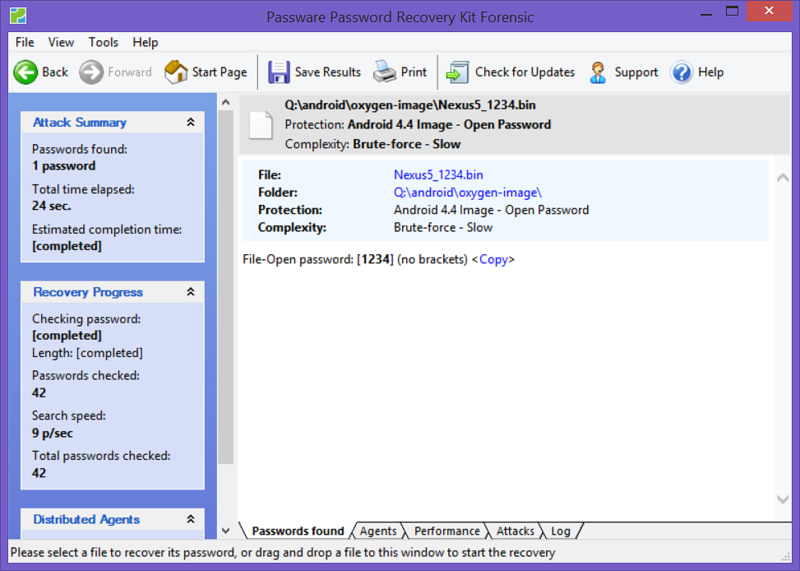 Passware Kit recovers passwords for images of Android devices acquired by third-party tools. The new version now also supports the latest release of Android - 4.4 KitKat - available on many devices such as Google Nexus, HTC, LG, Miromax, and others. The password-recovery process can be accelerated with GPU cards and distributed computing. NOTE: This feature is available in the Forensic edition only. 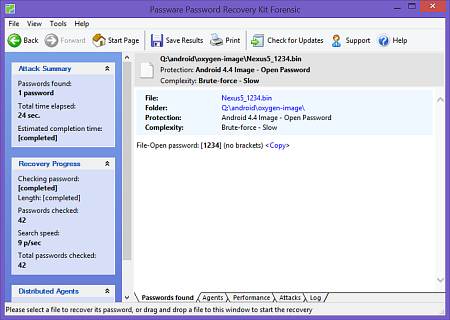 The password-recovery process for Android devices can also be launched directly from Oxygen Forensic Suite, if Passware Kit Forensic is installed on the same computer. 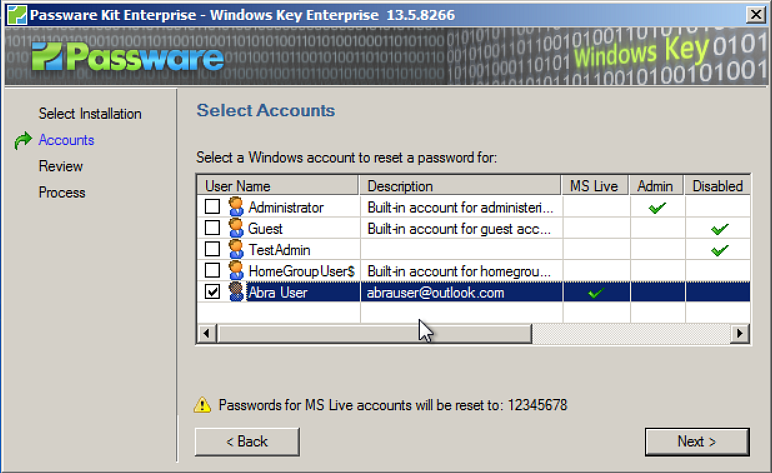 Passware Kit updates its Windows password-recovery module and now resets passwords for Windows Live ID user accounts. 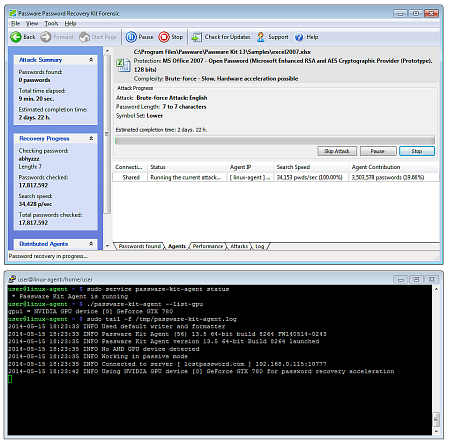 The module supports all versions of Windows, including Windows 8.1.